Goro is an 18 year old living in the 23 century. The world is now run by the Sovereign Regime, infants have microchips implanted in them. These chips remove the need for things like bank accounts and smart phones but they also have taken a person’s personal freedoms away by recording everything. Goro over hears a conversation that was secret and helps to lead him to start the revolution that he has desired. Now Goro is in a race against time because both the Regime and the resistance want the secret he overheard. This is a great dystopian/post apocalyptic story. Technology has taken over humanity and the rules of the world have taken away war, murder and such just by using a microchip. Goro is a great character. He is strong, snarky, and has big heart yet can be tough when needed. There is a lot of action and lots of twists and turns as Goro tries to navigate his knowledge and desire to take down the regime. This is a great story and one I recommend to those that like dystopian/post apocalyptic stories. I will definitely be keeping an eye out for other books by Anjenique Hughes. To purchase Sovereignty make sure to visit Amazon, Barnes and Noble, Goodreads and Anjenique Hughes’ website. 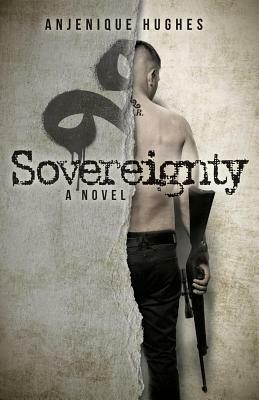 I received Sovereignty for free from iRead Book Tours in exchange for an honest review. With master’s degrees in education, special education, and counseling, Anjenique “Jen” Hughes is a high school English and math teacher who loves teaching and mentoring young people. She enjoys traveling and has worked with youth on five continents. Saying she is “young at heart” is an understatement; she is fluent in sarcasm, breaks eardrums with her teacher voice (students have complained when they were within earshot), and cracks sarcastic jokes with the best of her students. 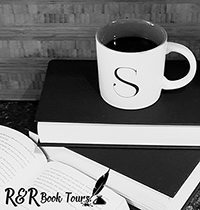 Her work with ethnically and socioeconomically diverse youth has inspired her to write books that appeal to a broad variety of students seeking stories of bravery, perseverance, loyalty, and success. A few months ago, my Krav Maga instructor decided to take the class out to the fifth floor parking structure (Krav Maga is an Israeli form of military martial arts, to bring people up to speed).Wanted to “keep it real” he said. Sometimes he will crank up the heat in our training room, or he’ll flip the light off so it simulates our fighting in a dark, shady alley. We never know. Anyway, we were practicing escaping bear hugs on the oil slicked parking lot, and my partner- bless her heart- couldn’t lift me high enough, ending up dropping me face first onto the concrete! Instructor came running over and asked if I was okay; I popped up smiling- no problem. Thank you so much Jen. This sounds like some of my Krav Maga classes. My instructor keeps us on our toes. But what can you expect from someone that is teaching you to protect yourself and that is not always pretty.